KNUTH has one of the most extensive portfolios of machine tools and accessories in the industry, like conventional and CNC-controlled milling machines, lathes, drill presses, electric discharging machines, saws and metal working machines. There is a complete line of powerful plasma, water-jet and laser cutting systems, and a large selection of tools and accessories. 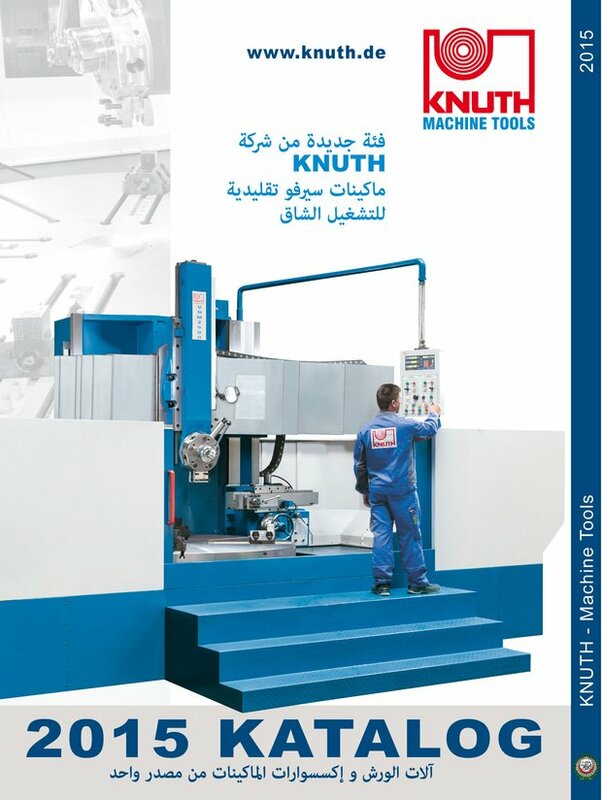 Worldwide known for it’s annual comprehensive catalogue KNUTH has launched the first machine tools catalogue in ARABIC language now. “We are pleased to introduce to the Arabic World the FIRST Arabic technical catalogue for machine tools,” says Ms. Abeer Hefnawy, Marketing Director at Multirolla Company in Cairo, KNUTH’s agent for Egypt. KNUTH Machine Tools was founded in 1923 as a family-operated business and is led today by the 3rd generation owner, Mr. Karsten Knuth. The worldwide success of KNUTH is based on highest quality standards, technological innovations, decades of experience, and unsurpassed price/performance ratios. KNUTH is a global enterprise with more than 200 employees in more than 30 countries with a strong presence in all growth markets. Worldwide customers rely on KNUTH - from small workshops to large industrial corporations.